Polish-born, Stockholm-based fashion designer Bea Szenfeld has blown us away in the past with her collections such as Sur La Plage and her 'Haute Papier' on the runway in 2014. Now she has taken her origami-inspired fashion to the theatre in a collaboration with the Royal Swedish Opera, featuring a collection of dancers modeling her whimsical costumes. 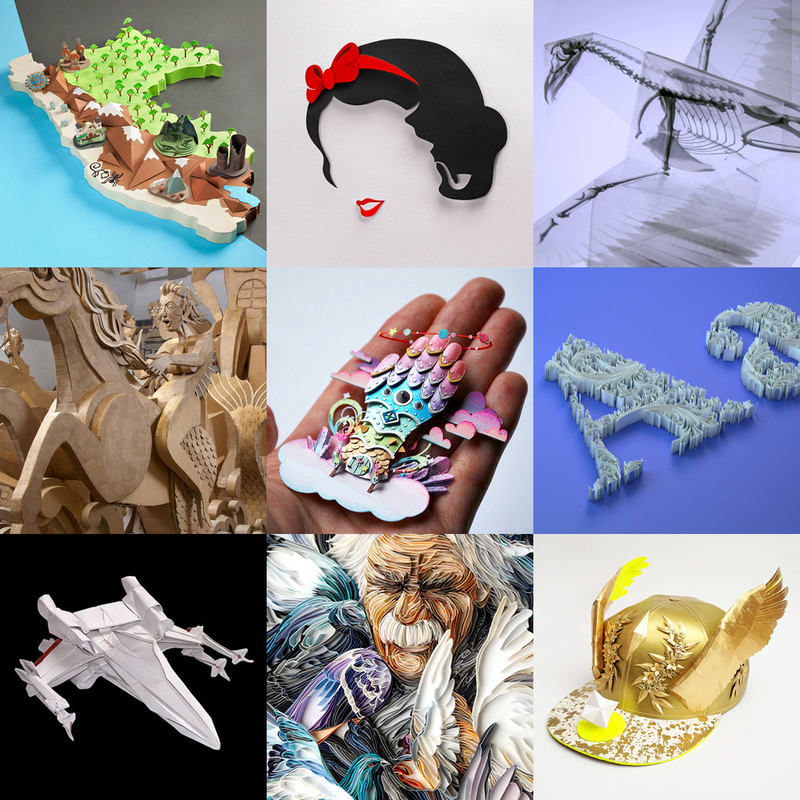 60 Astounding Examples of Paper Art Over Six Years, Happy Birthday Strictlypaper! In lieu of Strictlypaper's 6th birthday this year, we have chosen 60 astounding examples of the most loved paper art works from over the years. 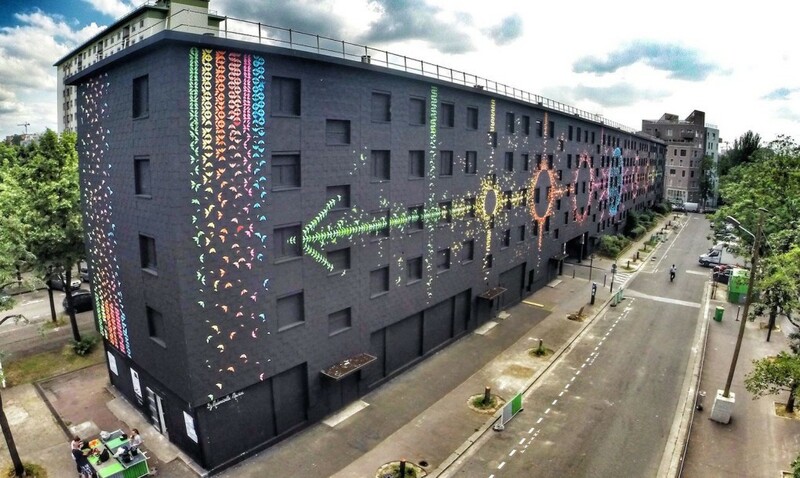 Since the beginning, that hot summer day long, long ago in 2010, the major focus of SP has always been to highlight the most creative use of paper, this spanning across a very wide array of fields and categories, with artist from all over the world. We have always strived to be a source of inspiration to push your work just one step further, as well as a hub for other paper artists and artists alike to learn about one another... because we all know there are SOOOOO many artists out there! With that said, please enjoy this selection of paper sculptures, origami, animations, paper fashion, installations, collages and more. Share to the masses, because in the end, we couldn't have done it without you. So THANK YOU and here's to the future!!!! 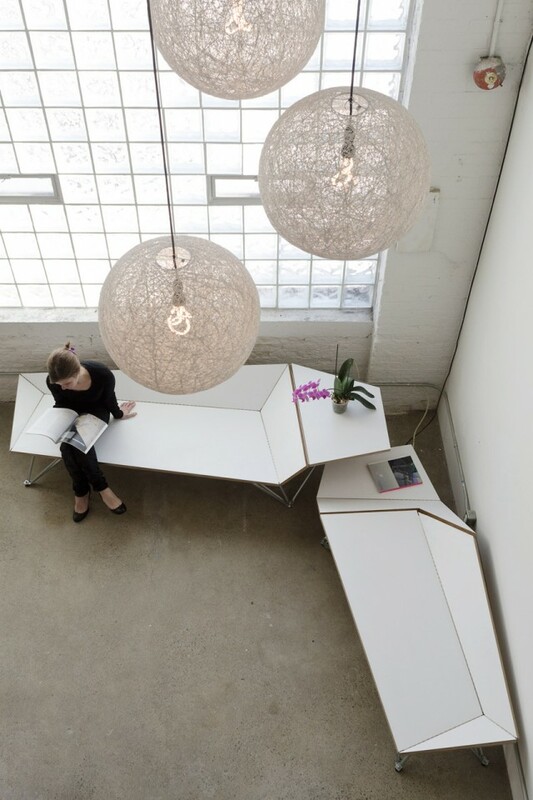 The Origami Bench, designed by blackLAB architects inc., is clever seating that was created as part of a special exhibition at the 2014 Interior Design Show in Toronto. The design itself is fabricated from geometric-shaped panels of white laminate covered, baltic birch plywood that are connected with piano hinges. The origami inspired planes each fold together and lay firm against the tubular steel legs they rest upon, giving the look of folded paper. 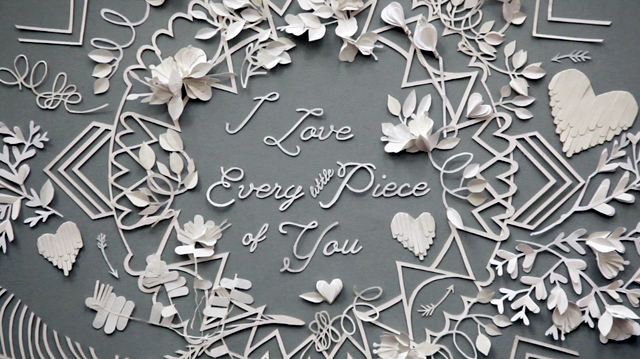 Check out more of our Notsostrictly posts inspired by paper. In the past we have had some gear-like jewelry, a pixel pop-up card and even a mechanical greeting card. Who says you can't be creative! As the infamous Valentine's Day draws near and proves to be a special occasion, for some, I have decided to feature some various works that you can either DIY (do it yourself), purchase online or just sit back and admire. Also featured below is a video of the image above. ENJOY! If you are at the starting point of looking for a Valentine's Day card for your loved one, look no further! 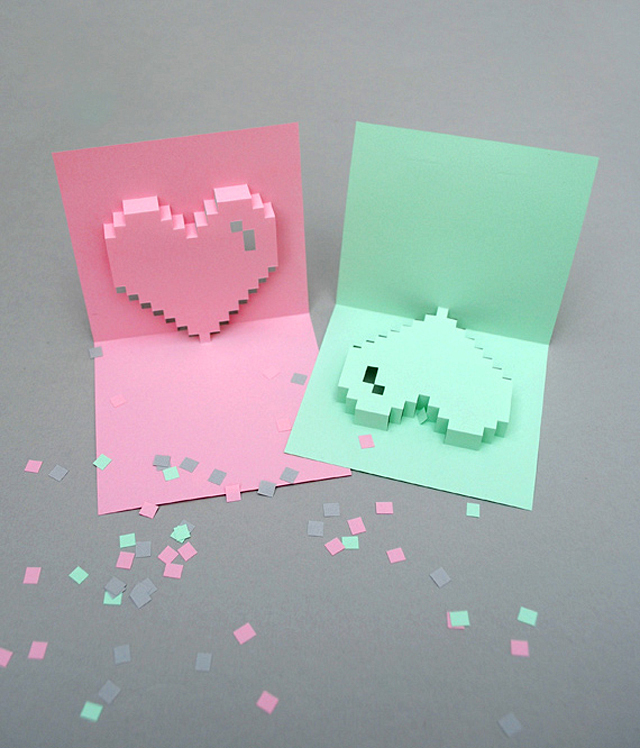 Kate from Mini Eco has designed this lovely pop-up pixel heart card that you can download on her site for free. 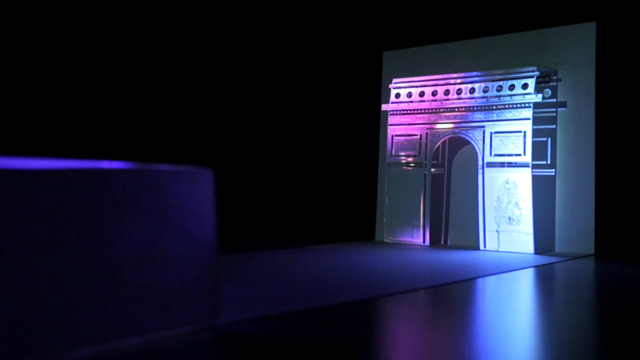 There are detailed instructions for both light paper and dark. Also provided are scoring instructions. You can find all the information you need here. More commonly then not if you are from the states, like myself, you are more accustomed to seeing currency in only one color for the most part, green. However, as far as international currency is concerned it can range in a wide variety of colors. Now, who would have thought you could create something so beautiful as Kristi Malakoff has created with these unique money sculptures. 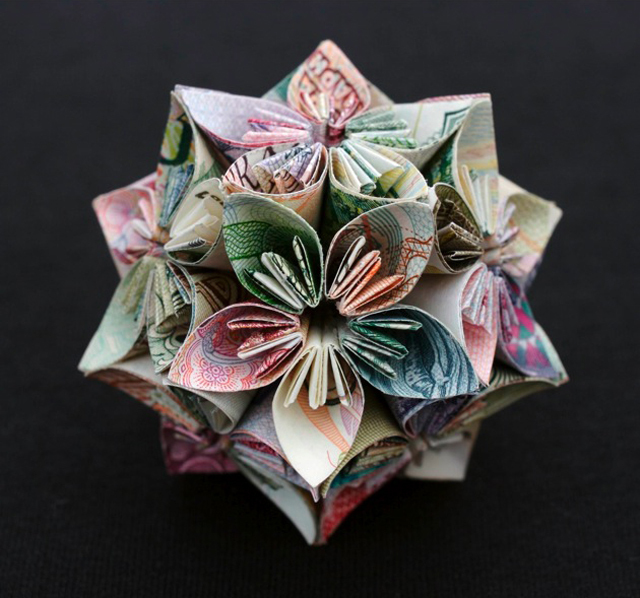 In her series entitled "Money Pieces" she utilizes that wide spectrum of colors, from currency all over the globe, to produce these awe-inspiring and intricate origami works of flowers and dimensional polygons. Today on this New Year's Eve I would like to give you the first installment of many to come, the 20 Best Paper Art Works of 2013. What a wonderful way to bring in the New Year than by reflecting on some of the astounding projects that I have had the pleasure of featuring on Strictlypaper. 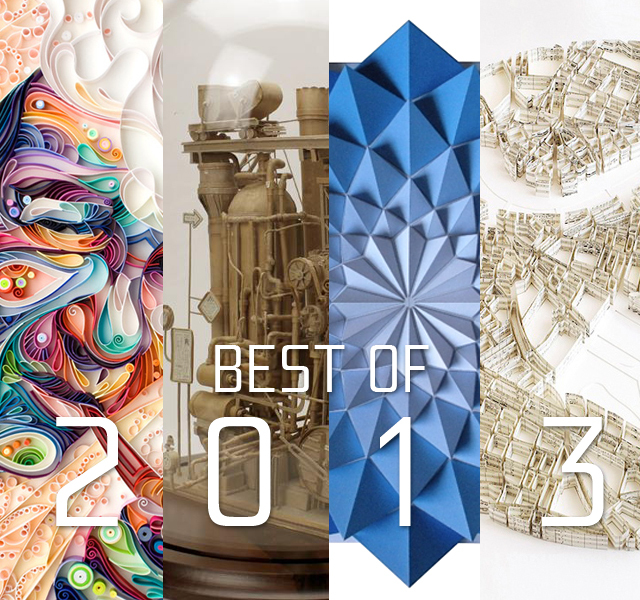 Below are the most appreciated posts of 2013 in such categories as Animation, Fashion, Product Design, Installations, Quilled Art, Book Art, Cardboard Works, and last but definitely not least Origami. Here is a lovely advertising series representing the Green Edition of Perfil Magazine by Costa Rican based design studio Osopez. 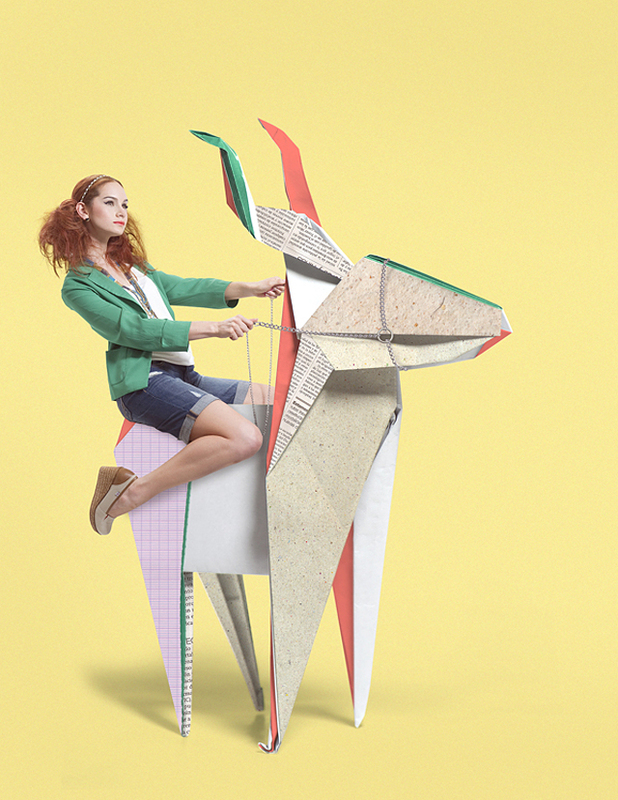 I love the oversized origami animals, created by German Chacón, that are showcased with their pieces having different colors, it definitely makes for an interestingly unique and very vibrant editorial.